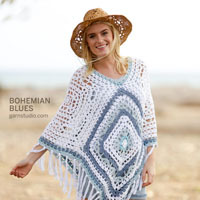 Go to original pattern for design DROPS 192-25. Knitted and felted mittens in 3 strands DROPS Alpaca. Total length before felting: 38-40-44 cm. Total length after felting: 28-30-33 cm. Length from thumb gusset before felting: 17-17-19 cm. 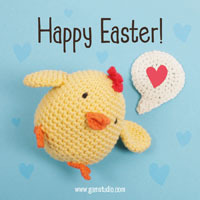 16 stitches in width and 20 rows in height with stocking stitch and 3 strands = 10 x 10 cm. The needle size is only a guide. If you have too many stitches on 10 cm, change to a larger needle size. If you have too few stitches on 10 cm, change to a smaller needle size. 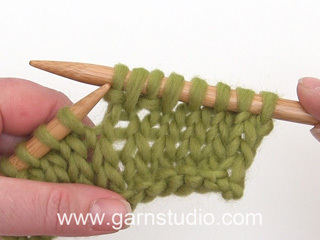 To work out how to decrease evenly, count the total number of stitches on the needles (e.g. 52 stitches) and divide by the number of decreases to be made (e.g. 8) = 6.5. 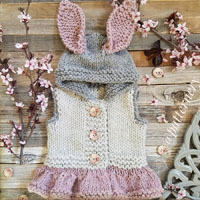 In this example, decrease by alternately knitting together each 5th and 6th stitch and each 6th and 7th stitch. 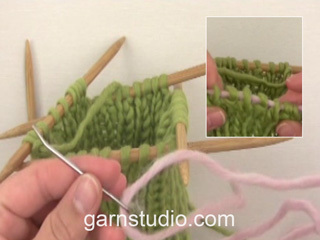 Increase 1 stitch by working 2 stitches in the same stitch (knit in front and back loop). 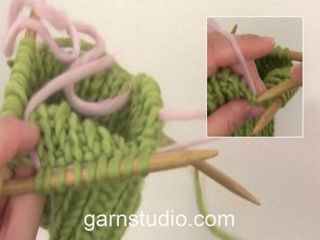 The piece is worked in the round with double pointed needles bottom up, towards the tip of the mitten. 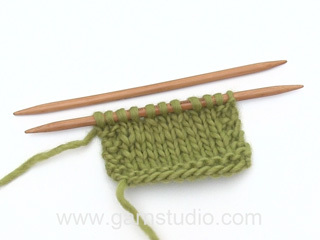 Cast on 52-52-56 stitches with double pointed needles size 5.5 mm and 1 strand of each colour (= 3 strands). 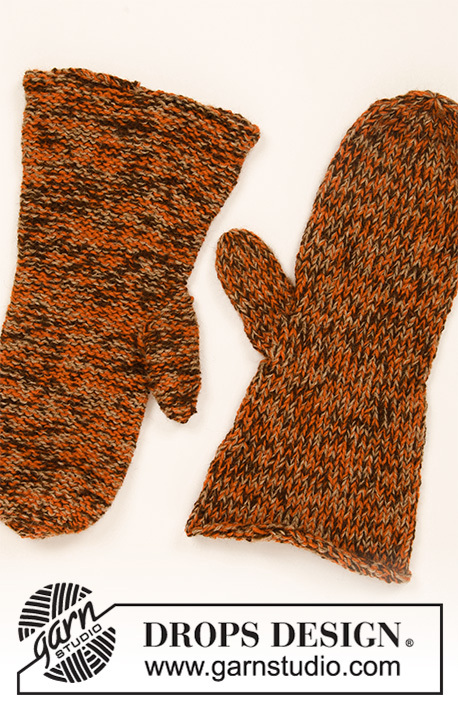 The whole mitten is worked in stocking stitch - REMEMBER THE KNITTING TENSION! When the piece measures 8-9-10 cm decrease 8 stitches evenly on next round – read DECREASE TIP = 44-44-48 stitches. Continue working until the piece measures 14-15-16 cm. On the next round decrease 6-6-8 stitches evenly on round = 38-38-40 stitches. When the piece measures 15-16-17 cm insert 1 marker in the 19th-19th-20th stitch on the round (= mark for thumb). On the next round increase 1 stitch on each side of the stitch with the marker – read INCREASE TIP. Increase like this on the outside of the increased stitches every 2nd round a total of 4-4-5 times = 46-46-50 stitches. After the last increase, place the increased stitches + the stitch with the marker + 1 stitch on each side of these stitches on a thread for thumb = 11-11-13 thumb-stitches. Cast on 3 stitches behind the thumb-stitches = 38-38-40 stitches. The piece measures approx. 21-23-25 cm. Continue with stocking stitch in the round. When the piece measures 36-38-42 cm work all stitches together 2 and 2 = 19-19-20 stitches. When the piece measures 38-40-44 cm work all stitches together 2 and 2 one more time (where the number of stitches doesn’t fit, knit the last stitch) = 10-10-10 stitches. Cut the strand, pull it through the remaining stitches, pull tight and fasten well. Place the 11-11-13 thumb-stitches on double pointed needles size 5.5 mm and knit up 5 stitches in the 3 increased stitches on the hand (i.e. knit up both in the stitches and between the stitches) = 16-16-18 stitches. Work stocking stitch in the round. When the thumb measures approx. 6-6-6½ cm from where it was divided from the mitten, decrease 4-4-6 stitches evenly on round = 12 stitches. Work 2 rounds. On the next round decrease 4 stitches evenly on round = 8 stitches. When the piece measures 8½-8½-9 cm work all stitches together 2 and 2 = 4 stitches. Cut the strand, pull it through the remaining stitches, pull tight and fasten well. Work one more mitten in the same way. So that the thumb does not felt together, turn the mittens inside-out and put a small plastic bag in the thumb. Fasten with a safety pin - NOTE: Fasten the pin vertically towards the tip of the thumb so that it is easy to remove after felting. Turn the mitten inside-out again so that it is felted with the right side out. Place the mittens in washing machine using a detergent without enzymes and optic bleaches. Wash at 40 degrees with normal centrifuge and without pre-wash. After washing, shape the mittens to the right measurements while still wet. 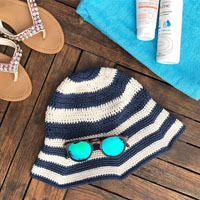 Later washes are as for a normal wool garment. Hallo, ich möchte gerne wissen, wieviel diese Handschuhe wiegen. Wenn ich sie mit nur einer Farbe (auch mit 3 Fäden) stricken würde, benötige ich dann auch 300 g? Vielen Dank für die Antwort. Liebe Ulli, dafür haben wir leider keine Erfahrung, da diese Handschuhen mit 3 verschiedenen Farben gestrickt werden. Mehr persönnliche Hilfen bekommen Sie von Ihrem DROPS Laden, auch telefonisch oder per E-mail. Viel Spaß beim stricken!